​Besiktas are in the hunt to sign Tottenham winger Georges-Kevin N'Koudou this January after the winger has failed to work his way into Mauricio Pochettino's long term plans. N'Koudou has struggled for game time since joining Tottenham, making just 24 appearances in all competitions since making his debut in 2016. He has made two appearances this season, including a cameo appearance off the bench for Spurs' win over Fulham on Sunday. He played a part in the victory, whipping in a lethal cross to register an assist for Harry Winks' late winner. According to L'Equipe, as per ​Get French Football News, the 23-year-old is now a transfer target for Turkish side Besiktas, who are looking to sign him on loan this January to make up for the loss of Ryan Babel, who left the club to join Fulham earlier this month. 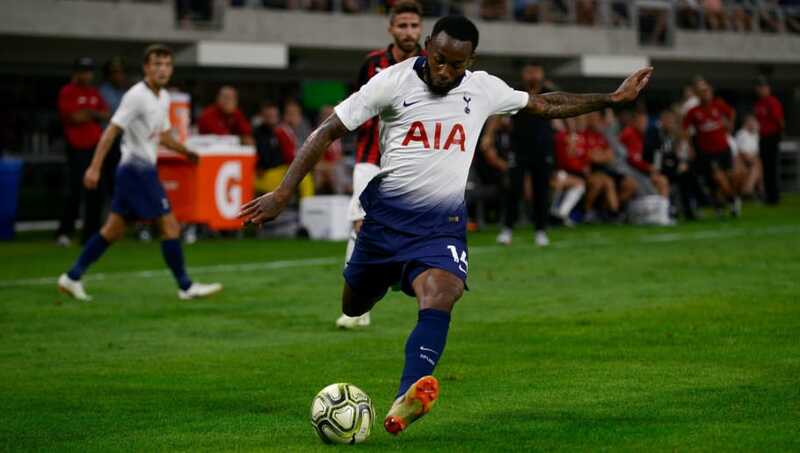 Despite the fact that ​Tottenham are currently enduring an injury crisis, with the likes of ​Harry Kane and ​Dele Alli out for the foreseeable future, they are still are said to be keen on moving N'Koudou on this month in order to free up funds. If he ends up leaving, this would be the second loan spell of N'Koudou's Tottenham career, following on from his unsuccessful time with Burnley last season. He failed to register a goal or an assist during his stay with the Clarets, eventually finding himself being pushed out of the picture at Turf Moor. N'Koudou still have two years remaining on his current contract, but if Besiktas are willing to make the deal permanent then Tottenham are unlikely to demand a high fee.